I LOVE hanging out with my Little, especially when we're running around having fun adventures together. You know, horses have TONS of energy (just like Littles) and we always have fun no matter what we do! A fun fact about us horses is that we sleep standing up. This way, I can always be ready for the next adventure. I prefer to live in groups, and I really need a special Little to have a full, happy Horsey Life! Us horses are very loyal.....I'll be your "Little's" best friend and I'll always have his back!" YOUR "Little" will "Big" when he carries his own stuff! 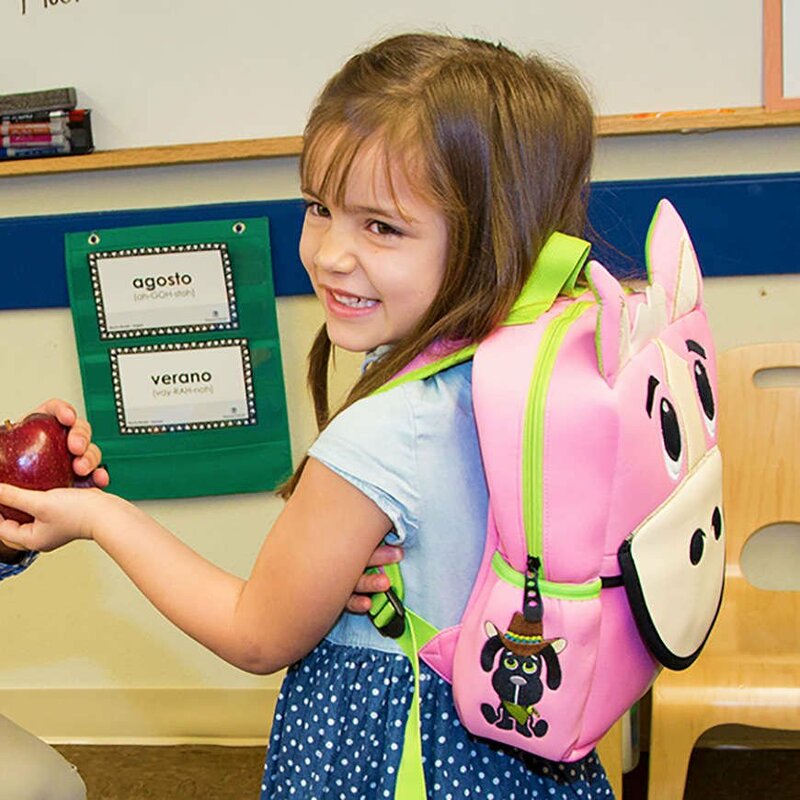 Going to school, day care, family trips or daily adventures, Buckie is the perfect "Little" Backpack! 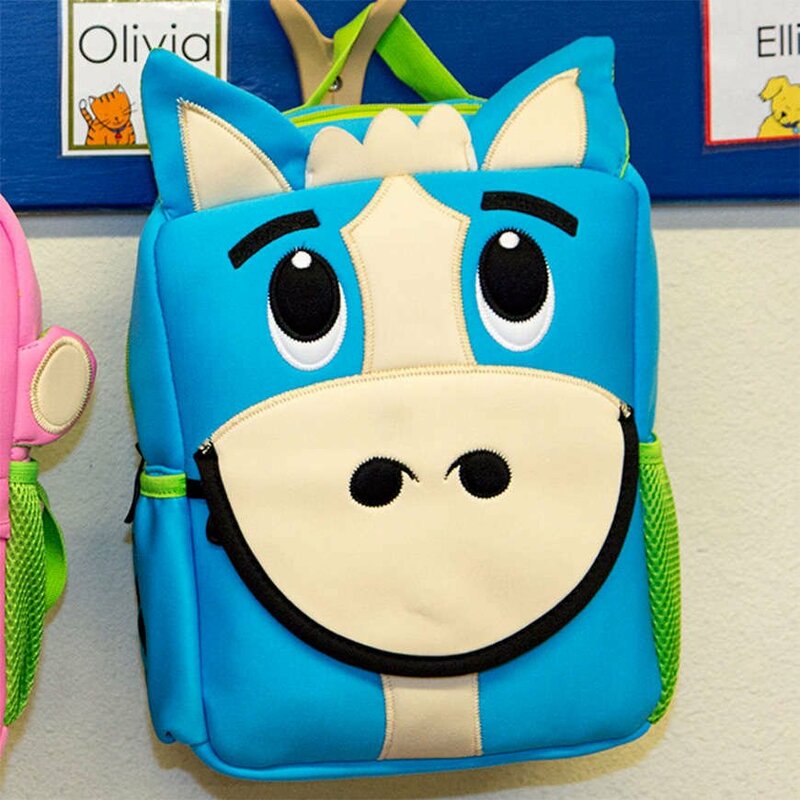 Buckie comes with a Removable Name Tag that is great for going to school or day-care, but easily comes off when it's time for travel. 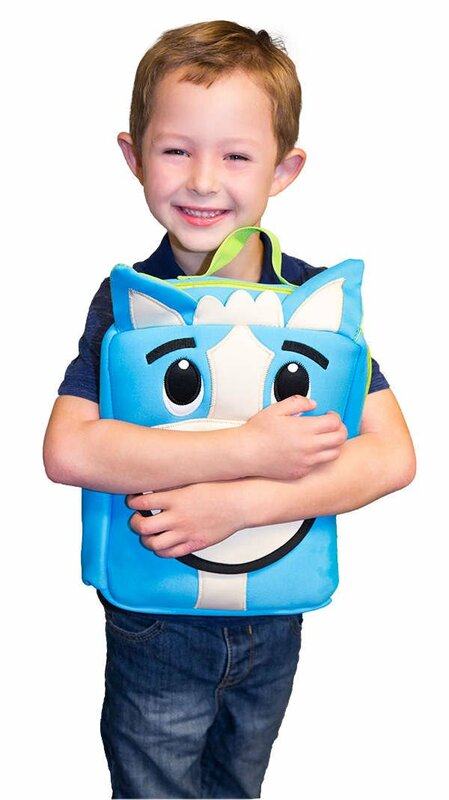 Buckie is both lightweight and made with the proper dimensions for Littles' backs. It's so lightweight, that your Little will forget she's carrying it. Buckie is shipped in a Re-usable, Color-able box. Your Little can color and decorate the box and use it as Buckie's bed or use it for other treasures. 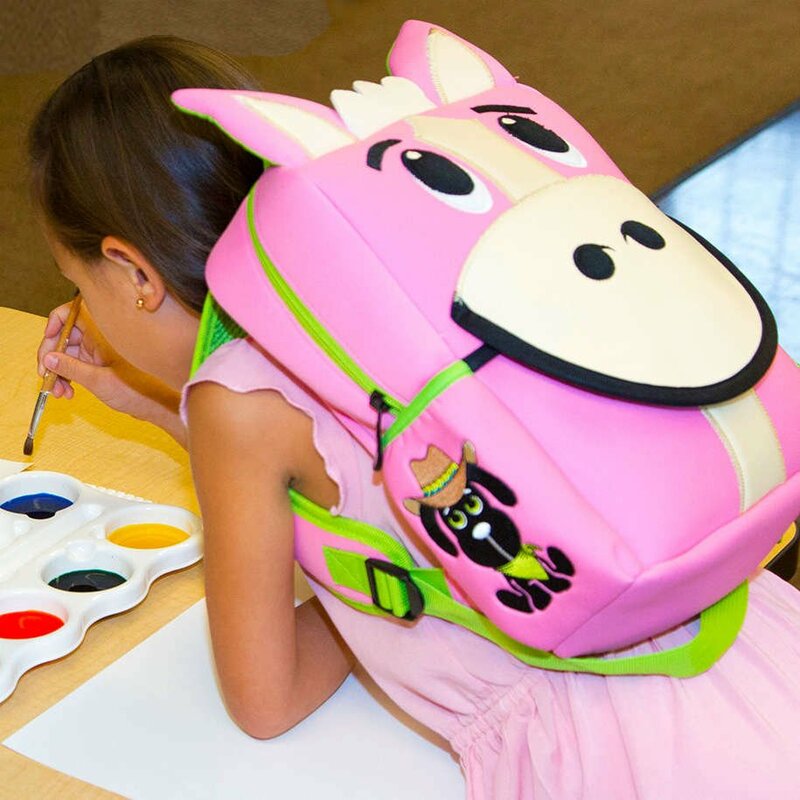 Padded, adjustable shoulder straps allow Buckie to fit properly and comfortably. The fabric we put on the back of the straps helps prevent slipping as your Little moves around. Quick, easy access to the most important things: FOOD!! Use Buckie's zippered front pouch for snacks and his 2 side pockets for drinks. 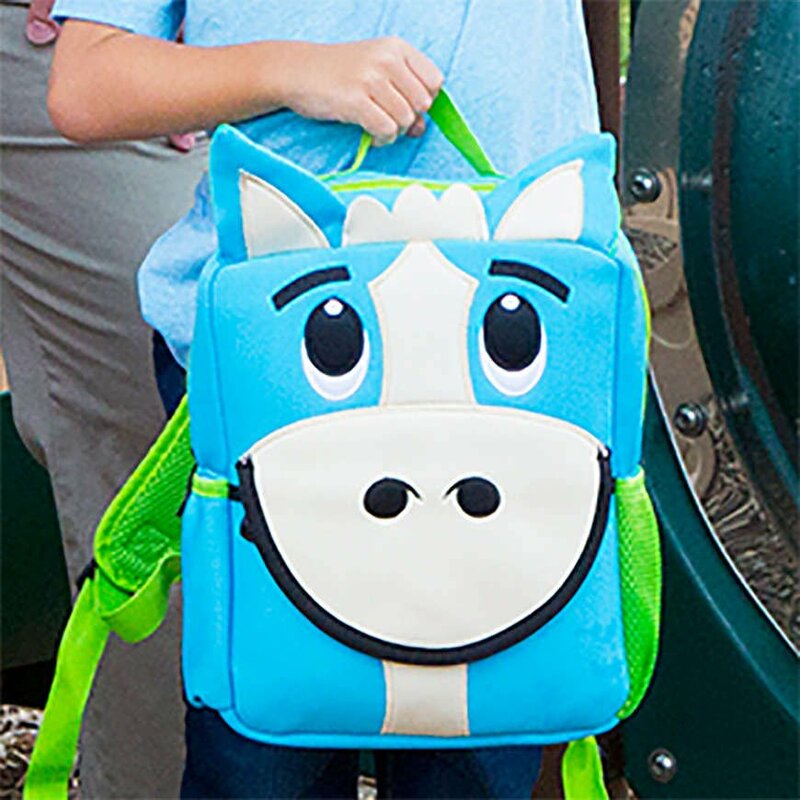 Washable materials AND the included "Care Bag" make keeping Buckie Clean a cinch! When it's time for a 'bath,' just put Buckie in the care bag and machine wash in cold water. Buckie has passed all tests to certify him BPA, PVC and Phthalate free. We purchased Buckie Horse for my grand nieces. As far as I’ve heard, they love them!